Recently, I had a long-haul flight from Kuwait to Manila Philippines with a stop at Dubai via Philippine Airlines. I decided to flyPAL for this 10-hour flight instead of the other airline since I know they have in-flight entertainment on board. It was a no-brainer since the flight cost was almost the same. When I boarded the flight I was delighted that they gave me a choice seat with better leg room. Though I was wondering why the plane, an Airbus 330–300, doesn’t have LCD panels. 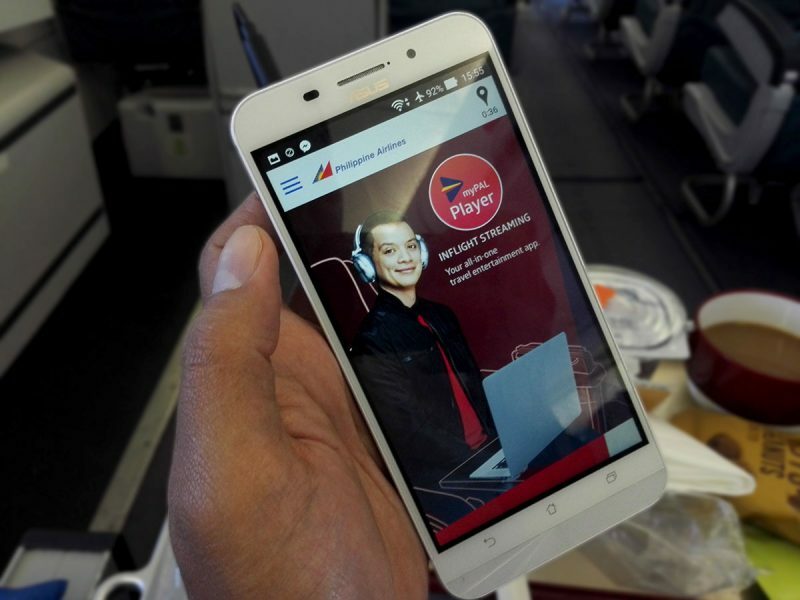 Browsing through Mabuhay Magazine, I found out that I had to download the myPAL Player App now to enjoy the InFlight Entertainment. I confirmed this with one of the flight attendant so I quickly downloaded the app on my Asus Zenfone Max phone before the cabin doors were closed and our plane took off. I also wanted to install the app on my iPad Mini but was short of time. There are planned trips and there are spontaneous ones. There are even times when something went wrong with our hotel booking or we are not pleased with the hotel when we got. That’s where the HotelQuickly app comes in. 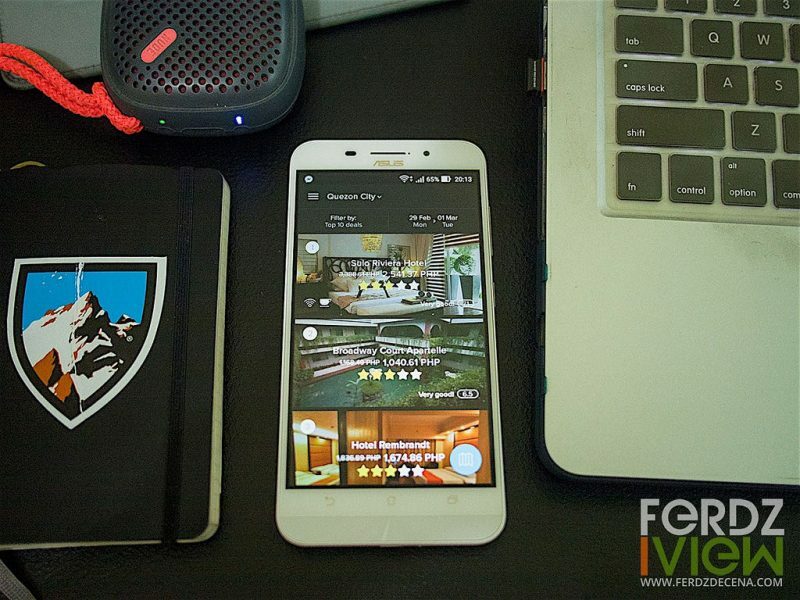 It’s a last-minute hotel booking app that’s designed to let you find available hotels in the area and book it instantly at discounted rates. 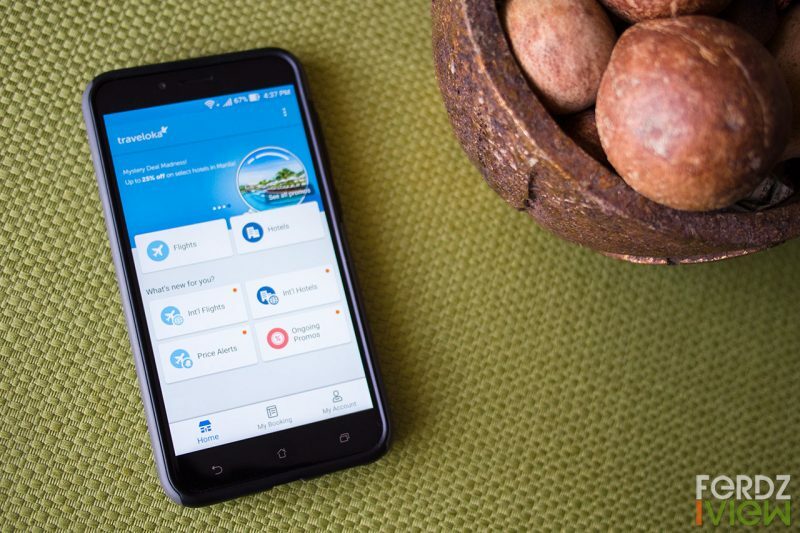 I recently got to try this app in my trip to the Cordilleras at the start of the year and find out for my self the conveniences and quirks the application had. “No time to exercise. Fitness center too far. Pricey membership.” These are some of the excuse people who are trying to get started on their fitness regimen. 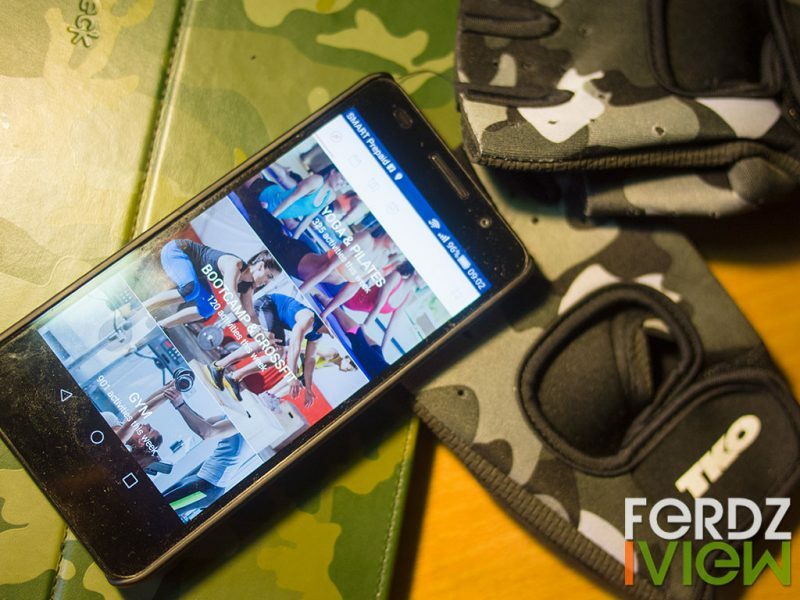 Now there’s little excuse to get fit especially with the entry of KFit app in Manila. KFit is like the Uber app of fitness. Whether you are into yoga, crossfit, muay thai, bodybuilding or zumba, you can search for a fitness center or studio near you and reserve at least an hour before the session. Here’s my experience with the app for over a month’s use. The world of photo sharing is so swift it runs parallel to the speed of your internet connection. While mobile phone photography have grown in leaps and bounds in terms of quality, digital cameras DSLRs, mirrorless and advance compacts are still the kings of digital imaging. New digital camera models already sports Wifi and NFC connectivity to allow instant transfers to smartphone or computer devices. But how about the older generation of digital cameras that doesn’t have these features? 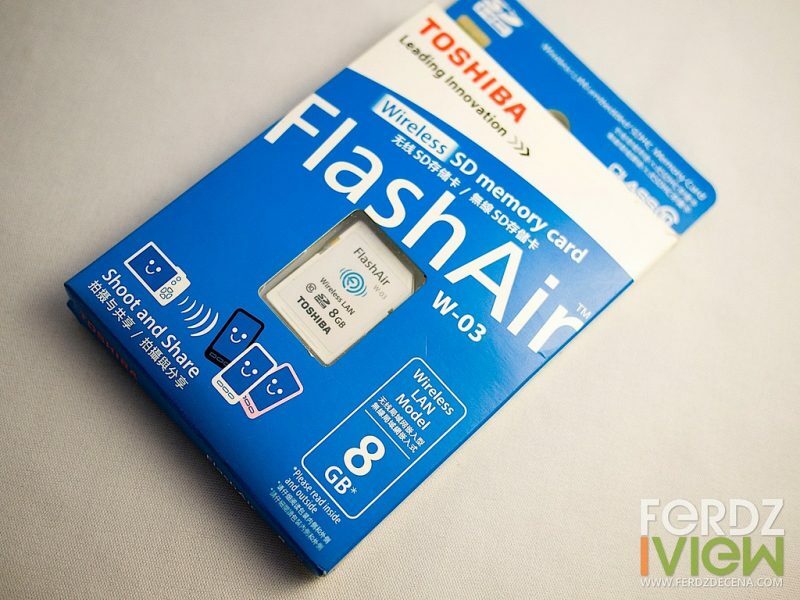 Wireless SD Cards like Toshiba FlashAir III W–03 brings in WiFi connectivity to cameras by simply inserting the SD card in. At first look, the Runtastic Orbit may sound like a glorified pedometer. Yes it does tracks steps, distance covered but it also displays time, tracks sleep, calories burned and syncs with Runtastic Apps to convert data into easily readable graphs. It’s an interesting wearable device for fitness enthusiast. I tried the Runtastic Orbit for at least a month to see if it does help me be more aware of my fitness goals and daily activity. 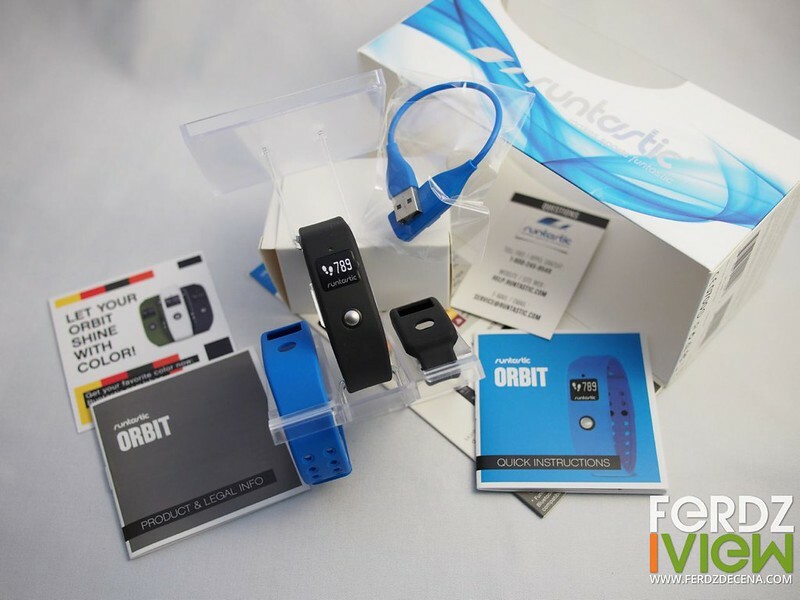 In the box, the Runtastic Orbit comes with two wristbands (blue and black), a black clip, USB charger with contact interface and manuals. The actual Orbit is a small 2-inch electronic device with a small OLED screen atop a silver button which cycles the mode. There’s also a small protruding dot on top which is a light sensor. It’s pretty big for a wristband really and I decided to wear it on the wrist opposite my watch. The band feels securely locked and doesn’t have a problem on getting loose. The Orbit is also waterproof so people can take it on swims or rainy runs. At first, I liked the reserved black color of the wristband but after a while I felt the blue was more stylish. Other wristband colors are available but sold separately. 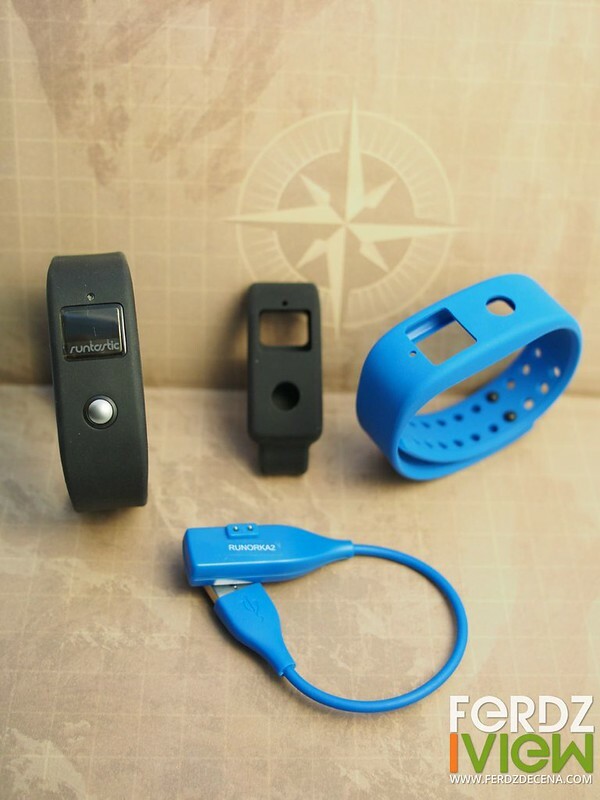 The Orbit device slips into these wristbands and clip securely with appropriate slots for the button, screen and light sensor. 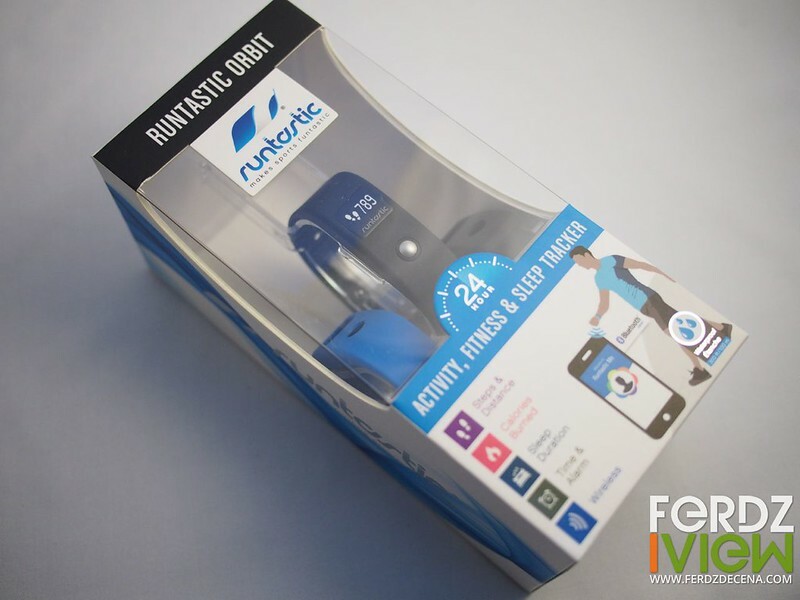 The Runtastic Orbit is a 24-hour wearable tracking device with only a single button interface to rotate around its modes. There’s the time, steps counter, distance, active minutes and calories burned. A long press will activate the sleep mode and another long press to deactivate. The Sleep Mode utilizes the light sensor which is an interesting concept and also slight movements while in the sleep mode. There’s the sleep efficiency graph which compares deep vs light sleep. On how accurate this is I’m not too sure as one has to initiate the mode to track it. Much of the data are collected in this little device but its the syncing with the Runtastic Me app which translates all this data into a much understandable charts. Battery life of the device is excellent from 5–7 days. The Runtastic Me is part of the many Runtastic ecosystem app like the popular Runtastic running app. Upon opening the app, it automatically syncs with the device via bluetooth. But strangely the data gathered from the device is not available or synced online to my Runtastic Account. 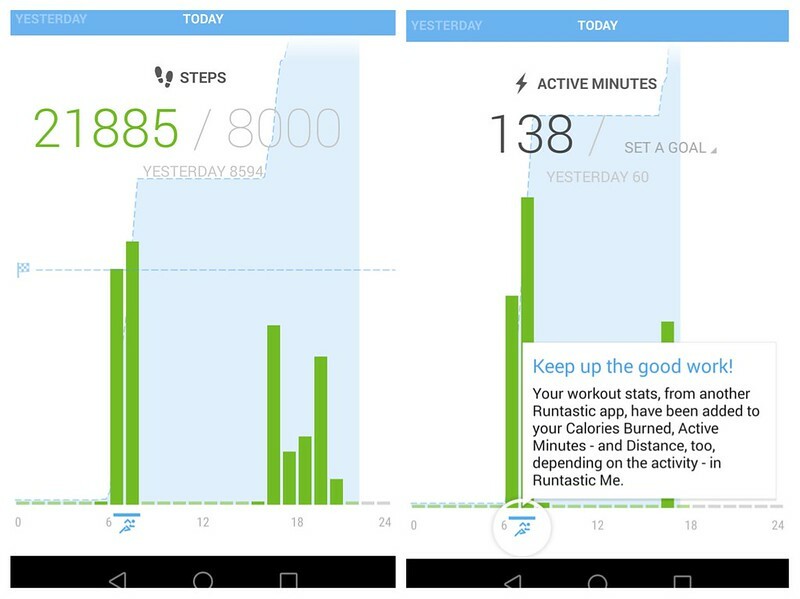 It works with the Runtastic app itself as the graph indicates the Runtastic Running app used with an icon on the said periods. The graphs were well presented but only on a daily basis. 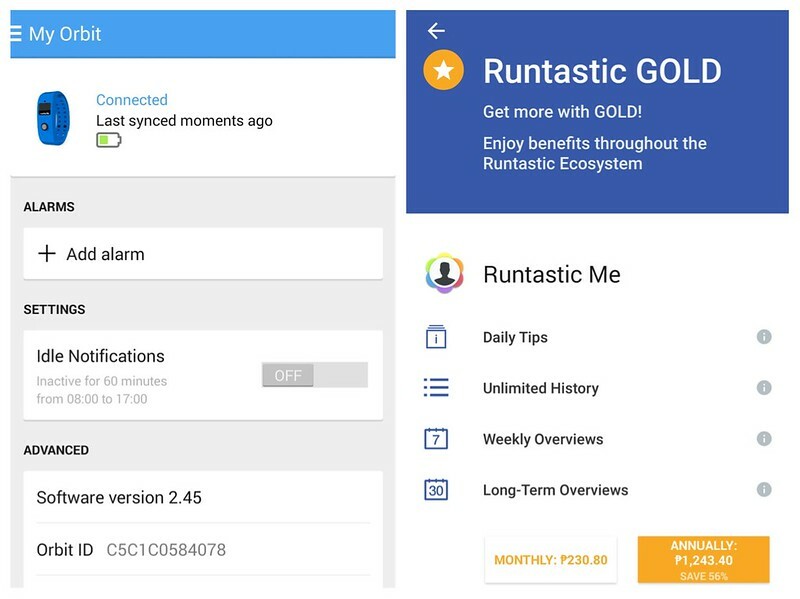 On the recent update (version 1.3.5 May 8 2015) the summary comparison for weeks and months are available but only for Runtastic Gold Members. 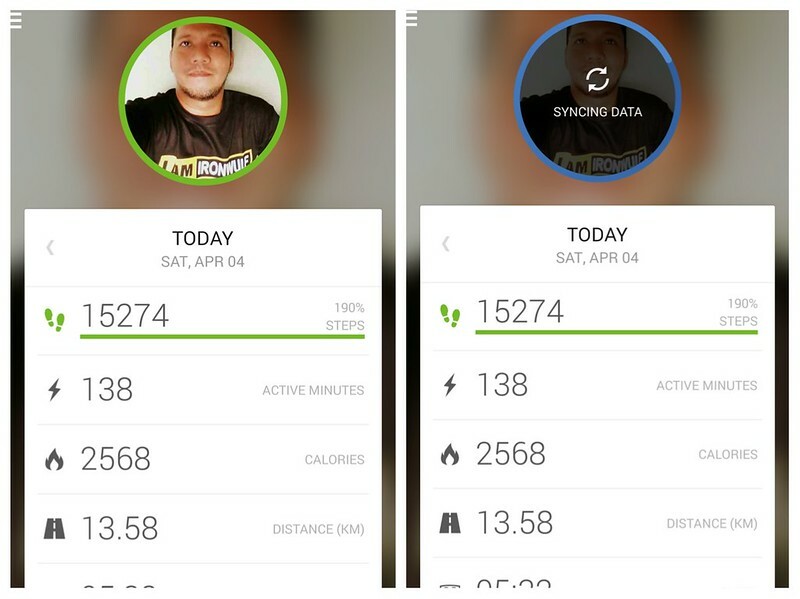 So if one really wants to fully utilize the features, going Runtastic Gold is the only way to go. The Runtastic Me app is where one can also set Alarms which the device would vibrate on the appointed time. Idle Time can also be activated where the device would vibrate after 60 minutes of inactivity reminding the wearer to move. 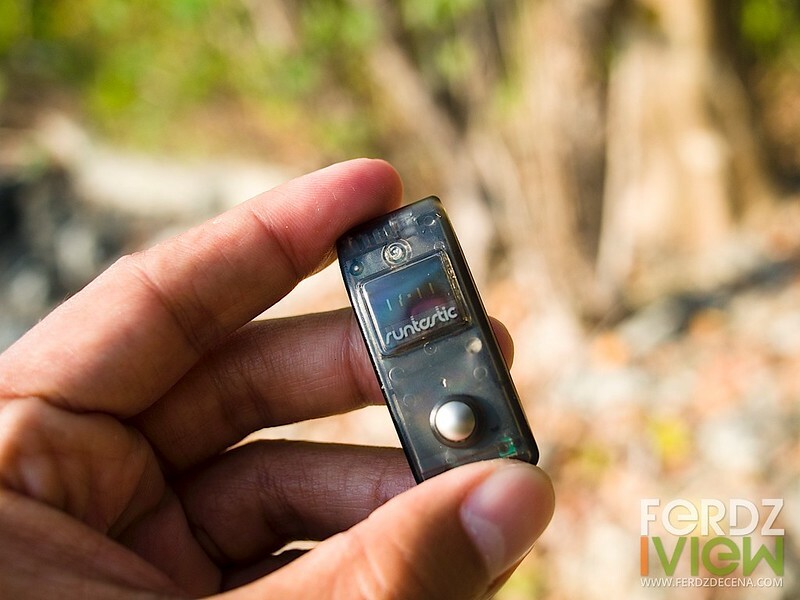 When these are activated, battery life lessens to about 5-days. After more than a month’s use of the Runtastic Orbit, I found that it’s a good addition as an activity and sleep tracker. 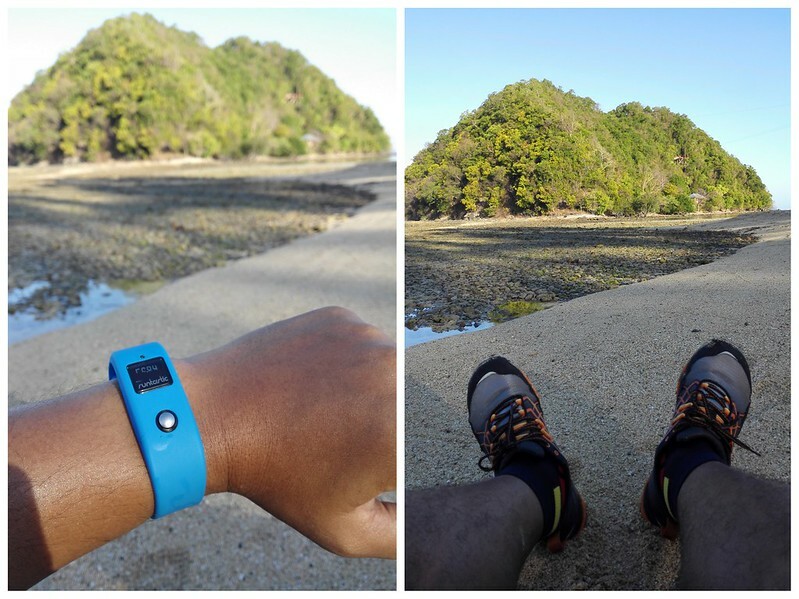 Honestly I felt motivated to finish my daily walk goals of doing more than 8000 steps a day. The Idle Time is a good way to remind me to move around while working on my computer all day. 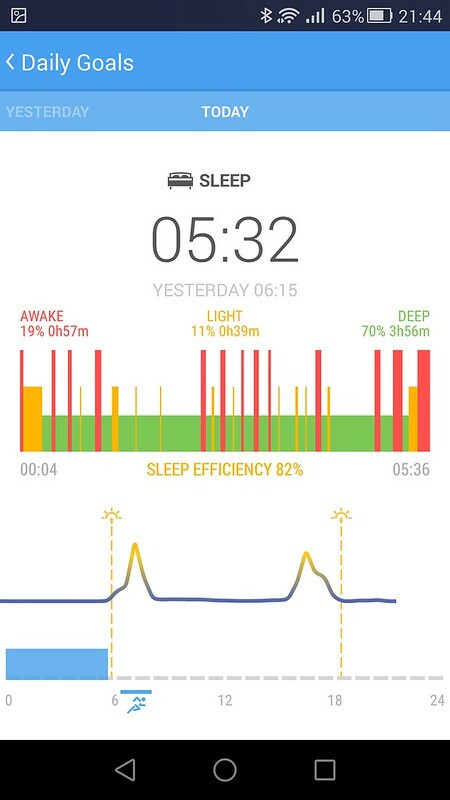 The Sleep Efficiency tracker has lots of potential but I think its not fully utilized yet. It helps the wearer be more aware on being active. The device itself holds a lot of promise but it’s on the Runtastic ME app that I felt a little short. On its recent releases, it felt half-baked with no way to track one’s progress for a week or month’s view. Only a daily view of the graphs being offered for free by the app. The recent update addresses the summary comparison issue but is restricted by a Gold membership monthly fee. Somehow I can’t fully comprehend this – if I already have to buy their device, why would I need to pay a separate service to utilize its full feature? If you’re already an avid Runtastic user and and a Gold member, this Runtastic Orbit would be a good buy. 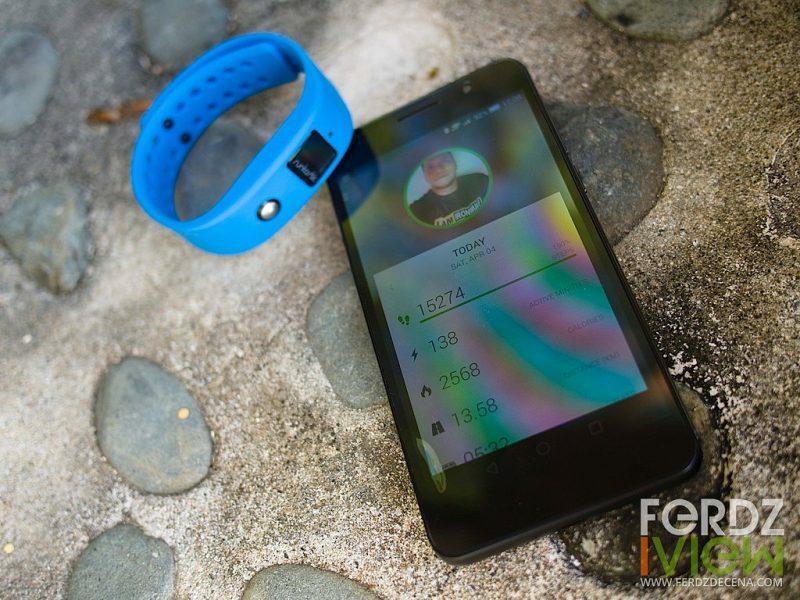 The Runtastic Orbit is available in the Philippines with an SRP of P7,500.